We are PowerTeam LLC. (“PowerObjects”, “we” or “us”). Our registered address is 718 Washington Ave N, Suite #101, Minneapolis, Minnesota 55401, USA. Whether to receive email marketing messages from us. You may opt out of our email marketing lists by following the opt-out directions at the bottom of our promotional emails. Please note that we have a number of brands and products and allow you to opt out selectively. 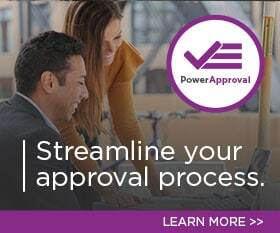 To remove a specific email address from all PowerObjects email marketing, send a request to support@hcl-powerobjects.com. If you join one of our online communities, such as http://powerobjects.com/blog/, your comments as well as certain information about you may be visible to other members of the community. Please take a moment to understand how each forum works and what choices you have. If you use credentials from a third party, like Facebook, to register, then that third party will also record the fact that you have registered for our sites and may use that information consistent with its own privacy statements and practices. If you use Share, Like or similar social media buttons, those actions may be posted elsewhere (such as on the relevant social media sites). You can also contact your local Data Protection Authority. We use a range of security measures to protect your personal information. Please be aware, however, that PowerObjects cannot guarantee that third parties will safeguard your personal information in a similar manner. Unencrypted information – including information sent via E-mail – may also be able to be read by third parties. As a user of our services, you are responsible for protecting the information you provide, including user name and passwords, from misuse, by encryption or other means. Our sites contain links to other websites not owned by PowerObjects. We do not control the content or privacy practices of those sites. We process personal information on the basis of your consent, except when you enter into a contract for the provision of services, or when we have other legitimate interest based on your interaction with us. You have the right to withdraw consent at any time, but this will not affect any prior processing of your personal information.